The love mentioned in the Holy Scriptures is not to be confused or misrepresented with the worldly connotations and definitions of love, so oft misused, overused and perverted by the world and even many professing to be disciples of Jesus Christ the Lord. The love in Scriptures more times than not is not emotional love, Valentine’s card love, man and woman love, but is agapaō love. A caring, a compassion, an understanding, a sacrifice of self, putting self aside, putting worldly ways and philosophies aside and making a sacrifice within our hearts toward someone else. Genuine deep love for another. Especially those we do not know or may never know, never meet. Especially for those who by all worldly definitions are our enemies. Pray for these that the Almighty Power of the Spirit of God works in them. Have faith. While also praying for, having agapaō love for fellow brothers and sisters around the world we may never meet or know, until removed from this fleshly earth and in heaven with our Lord, who are facing great sufferings and persecutions. Jesus Christ tells us how easy it is to love those who love us but what gain or fruit is there in that? On a spiritual level, which is the level we ought to be on and concerned with. But to love our enemies, to love those who do not love us? Well, that is quite different. And something to aspire to daily. Through prayer. Through faithfulness. Through continual prayer and turning to God’s inerrant living Word. For if ye love them which love you, what thank have ye? for sinners also love those that love them. And if ye do good to them which do good to you, what thank have ye? for sinners also do even the same. And if ye lend to them of whom ye hope to receive, what thank have ye? for sinners also lend to sinners, to receive as much again. But love ye your enemies, and do good, and lend, hoping for nothing again; and your reward shall be great, and ye shall be the children of the Highest: for he is kind unto the unthankful and to the evil. Be ye therefore merciful, as your Father also is merciful. “We created a people’s army to defend the country and also help in emergencies, but it turned into a monster.” — Mohsen Sazegara, on the Islamic Revolutionary Guard Corps, which he helped establish. Under international law, the Iranian government has an obligation to respect freedom of religion. Yet, while the rights of Christians are being violated in Iran at an unprecedented level, how long will the international community remain silent? What will it take for these endlessly preening moralists to act against those human rights violations? The IRGC does not limit itself to individuals. It has repeatedly raided entire churches, shut them down, or confiscated the Christians’ properties. As a result of this runaway torment, an increasing number of Christians have resorted to practicing their faith privately in their homes, a practice known as hosting “house churches”. Even being in their own homes provides no safety: the IRCG continue to increase their crackdown on any Christian religious practice. The regime’s authorities then usually create trumped up charges against Christians such as, “endangering the national security” of the country. Shamiram Issavi Khabizeh, the wife of Rev. Victor Bet Tamraz, for instance, was sentenced to five years’ imprisonment for “membership in a group with the purpose of disrupting national security.” The Sharia court also added another five years in prison to her sentence for “gathering and colluding to commit crimes against national security.” Their only evidence for this charge was that she was caught practicing her religion. How can reading a gospel in one’s private home be such a grave threat to the national security of the country? 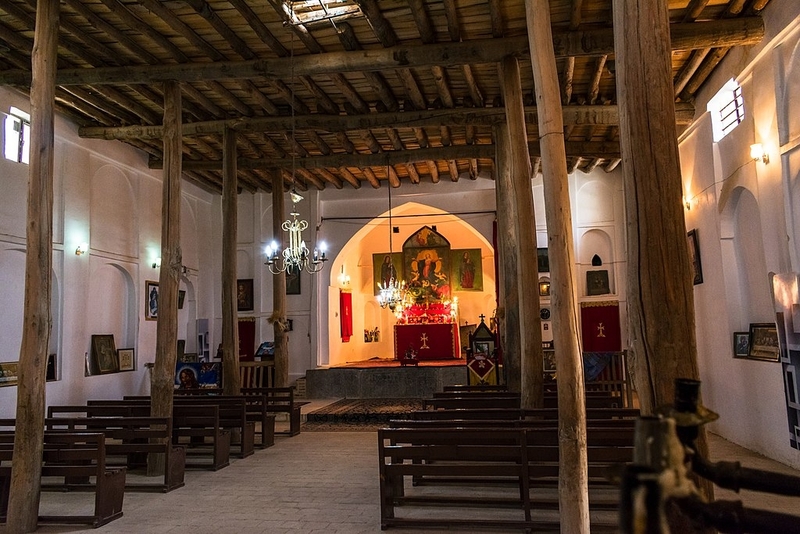 One objective of these kind of violations against Christians by Iran’s Islamic forces seems to be to threaten and intimidate the entire Christian community, whose ancestors have lived in this country for thousands of years, to flee in fear of imprisonment, torture and death. The Revolutionary Guards strategy seems to be to continue to apply pressure on the Christian community to decrease the number of Christians living in Iran, allowing the proportion of Muslims to increase, thereby affording the majority an even greater level of control. Another objective seems to be driving the practice of Christianity into the shadows. Their mistreatment not only keeps Christians on edge and terrified; it also prevents them from spreading their gospel in a public manner and adding others to their faith. The Iranian government views Christians who stay in the country as outsiders, so it treats them as such. What will it take for these endlessly preening moralists to act against those human rights violations so that one day people will not have to hide their gospel, or live their daily lives in fear of severe persecution? If the Iranian government refuses to take steps to protect the rights and freedom of the Christians, these innocent people can only plead for humanitarian aid from the community outside their borders, in the hope that one day they might live in a land where their beliefs and prayers are not a reason for imprisonment and torture.